Celebrating the virtues of wool is never a chore as far as Blackhouse is concerned, it’s another fantastic opportunity to not only shout about how proud we are to be a chink in the wool chain but how this natural fibre is at the heart of everything we do at Blackhouse. Just a few years ago, with the price of wool falling sharply, sheep farmers everywhere were under severe financial pressure, with some receiving less for their wool than the cost of shearing their sheep. This worrying decline was down to clothing and textile manufacturers replacing wool with synthetic fibres for mass production and competitive high street pricing. Thank goodness for the ‘Campaign for Wool’ and for companies like us who recognise and promote the value of this age old environmental resource, renowned the world over for its natural versatility, beauty and sustainability, not to mention its natural elasticity and breathability, making it a comfortable and durable for all uses. We, like many other like-minded folk, make it our business to know the real value of wool and present it to people who want a quality and environmentally friendly product that doesn’t just embody a timeless sense of fashion and style but emanates true grit and character, giving each and every one of us something real and unique. The unrivalled range of natural properties in sheep’s wool is why we have the only fabric in the world to be enshrined in law and why Blackhouse wants to see it enhancing people’s homes and lifestyles through modern luxury living. Working only with Harris Tweed, we see first-hand how much knowledge, skill, care and dedication goes into turning sheep’s wool into a world class cloth that is still famously woven, pedalled, carded, dyed, woven and spun from the crofts and the mills of Scotland’s Outer Hebrides. The combination of this organically grown, naturally elastic, water and fire resistant, insulated when cool but breathable when warm, odour resistant fibre and the unique Harris Tweed process from shearing to stamping, results in a fabric of timeless beauty and enduring quality which is made to last you a lifetime. 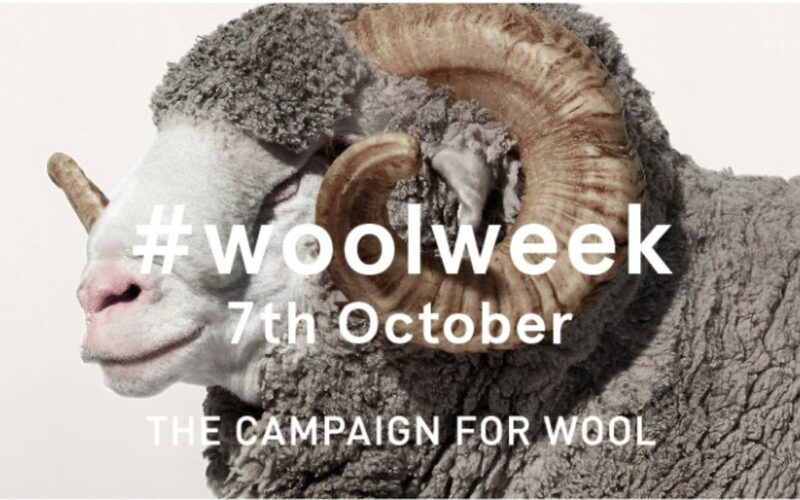 We are delighted that the Campaign for Wool has had the support of more than 500 global manufacturers and retailers, who, like us, are keen to stress their commitment to wool as a renewable fibre and an alternative to fast fashion. And we are even more delighted that it seems to be working! In 2010, wool prices throughout the Commonwealth were verging on the unsustainable, threatening many rural livelihoods and communities but today, the situation is much more encouraging. In general, the price of wool has increased over that period up to 60 per cent in the UK, which is not only great news for all of us who just love working with wool but is testament to the sheep and their farmers who work tirelessly to make all this possible. For more info on why wool matters, please visit Campaign for Wool or if you are looking for inspiration on how wool can make a difference to your everyday life, explore our Blackhouse range and see why we love working with the white stuff.